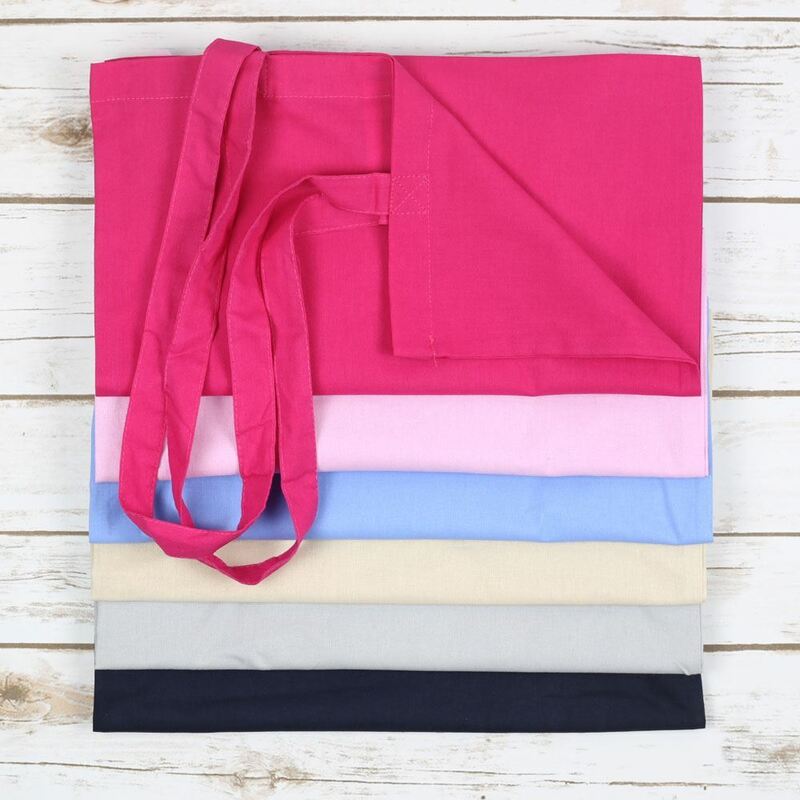 Make a statement on your Hen Party with our Hen Tote Bags. 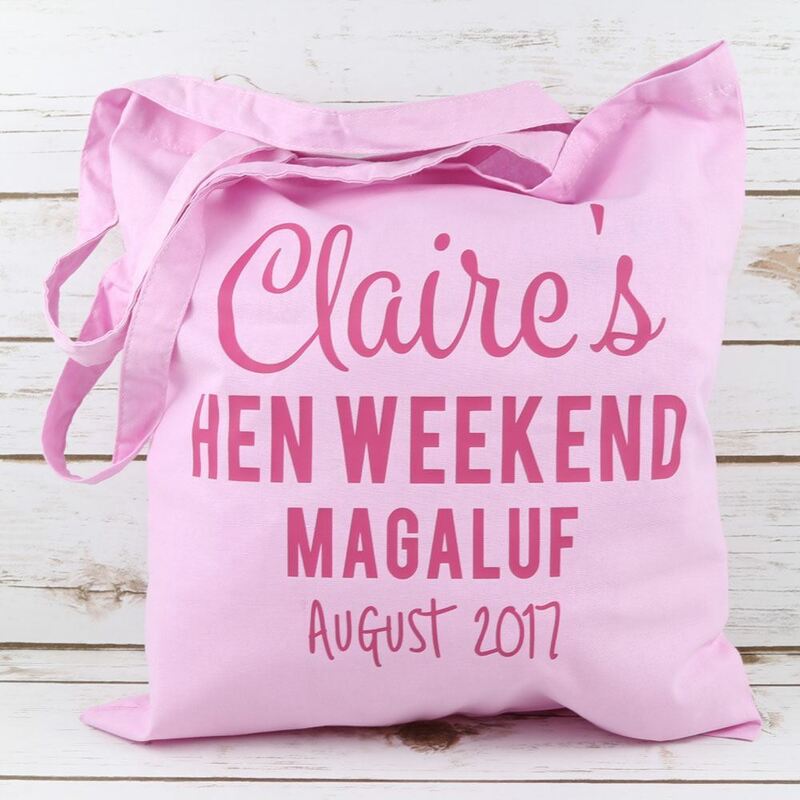 Personalised with the name of the bride to be, place of the hen weekend and the month and year, they are available in a range of colours. 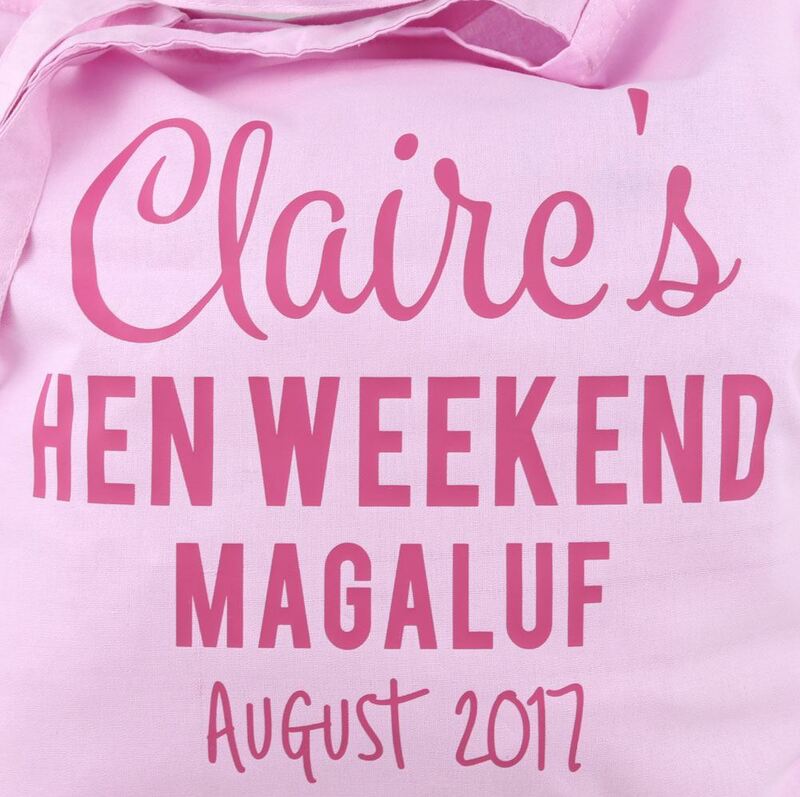 Perfect for keeping your beach towels, hen kit, willy straws and anything else you need on your weekend away! 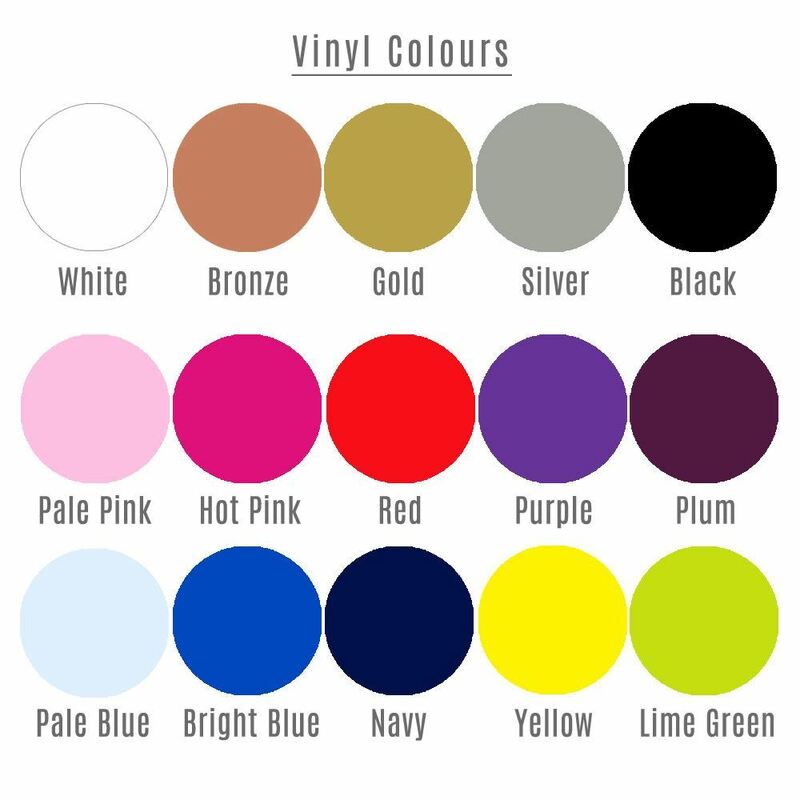 Please choose the bag and wording colour from the drop down lists and enter the name of the bride to be, destination and date (month and year) in the comment box when you order. 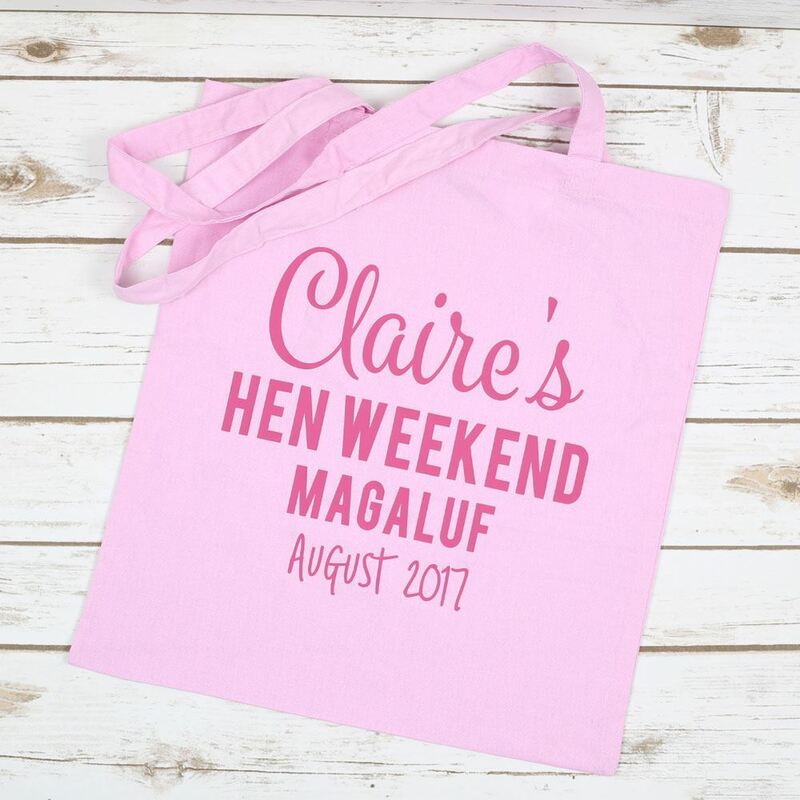 We can also put the individual names on the other side of the bag for an extra £1.00 per bag, contact us for more information.